Months of planning, countless meetings, endless phone calls. Inspiration, last minute surprises, creative thinking, arranging, rearranging, negotiating. Teamwork, camaraderie, anticipation, hard work, and prayer. Over it all, Guru’s Grace, guiding and adjusting, manifesting miracles, big and small. 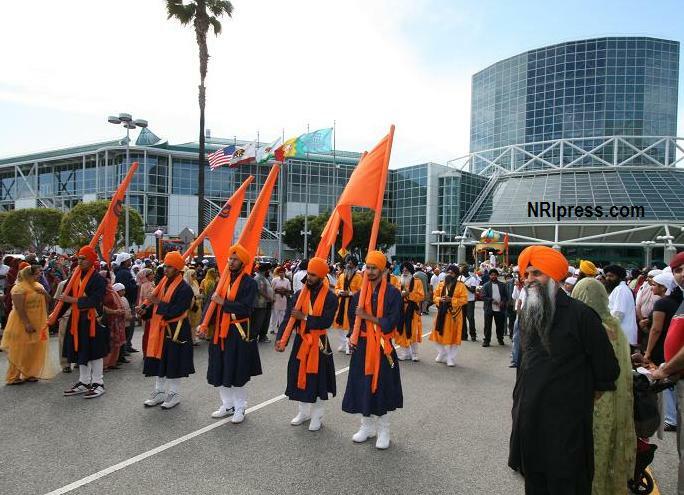 What emerges is the annual Baisakhi program at the Los Angeles Convention Center, estimated as being the largest Baisakhi celebration in the United States. 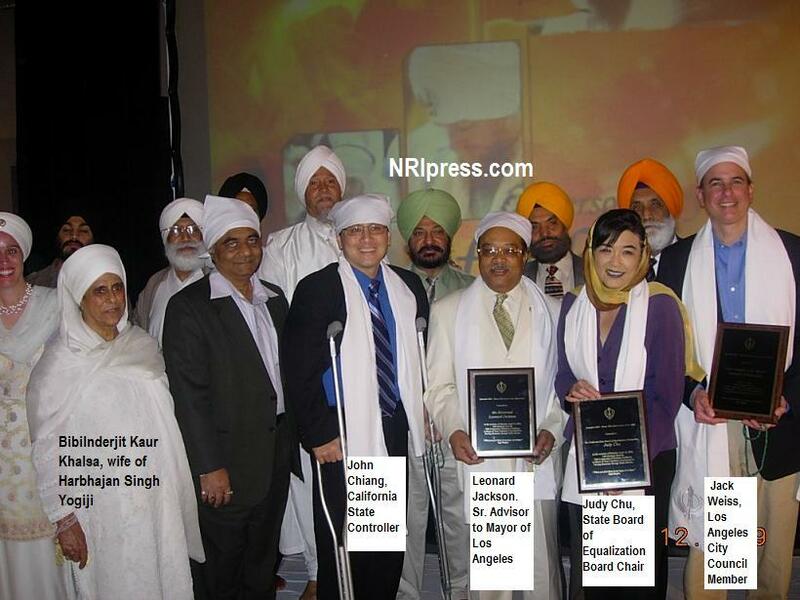 Coordinated by Sikh Dharma of Southern California, Guru Ram Das Ashram of LA and the Lankershim Sikh Temple of LA, yet, it is the result of the collaborative effort and participation of the twenty Gurdwaras in the Southern California Area. This year, the 37th Los Angeles program, begun with the inspiration and guiding hand of the Siri Singh Sahib Bhai Sahib Har Bhajan Singh Khalsa Yogi Ji, affectionately known as Yogi Har Bhajan Singh, celebrated the 310th anniversary of Baisakhi on April 12, 2009. Some 15,000 people attended this joyful event, which drew local participants as well as visitors from Northern and Central California and many individuals from around the United States and abroad. The day’s festivities began with a blissfully meditative Puran Asa De Vaar at 4:00 am at Guru Ram Das Ashram, artfully played by Hazoori Ragi Darbar Sahib, Bhai Nirmal Singh Khalsa and jetha. In Los Angeles for 15 days, Bhai Nirmal Singh has graced various gurdwaras with his beautiful kirtan over the past week. The auspicious timing of this visit should be noted by the awarding of the prestigious Padam Shri Award , recently bestowed on this renowned ragi jatha. 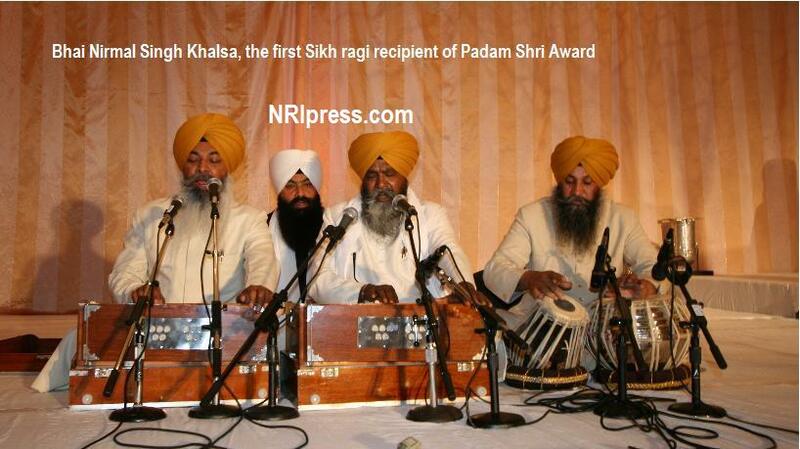 The recognition by the Indian government for this distinguished contribution to the Arts and Music, makes Bhai Nirmal Singh Khalsa the first Sikh ragi recipient of this honor. A reverent and ceremonial police-escorted motorcade of the Siri Guru Granth Sahib Ji then followed, with a procession of many cars, to the Convention Center. The transformation of a West Hall Convention Center meeting room into the breathtakingly beautiful Gurdwara and Kirtan Darbar , in soft, delicate hues of pink and peach, designed and executed by master artists Seva Kaur Khalsa and engineered by her husband Jai Pal Singh Khalsa, awaited the arriving Sadh Sangat. The miracle of Baisakhi unfolded over the course of the next 10 hours. The Kirtan Darbar portion of the program was filled with the vibration of the Guru’s bani; commencing with the sweet sounds of the childrens’ jettas, continuing with more than 20 local ragi jethas, and culminating with a powerful and uplifting finale of 5 jethas combined under the direction of Master Ragi Professor Ranjit Singh of the Mardana Academy of Classical Indian Music. In between, the masterful sounds of Bhai Nirmal Singh and Jetha resounded and filled all with cherdi kala, and afterward Bhai Sahiba, BibiInderjit Kaur Khalsa, wife of Harbhajan Singh Yogiji presented Bhai Nirmal Singh ji and Jetha with a “Spirit of Baisakhi Award” in acknowledgement of their lifetime accomplishment and inspiration through shabd gurbani kirtan. Additionally, the “Spirit of Baisakhi Award” was given to the founder and director of the Maharaja Duleep Singh Trust and the Anglo Sikh Heritage Trust, Harbinder Singh of Great Britain for his work in serving to bring to public awareness and ‘rescue’ many of the Sikh artifacts in British Museums from the era of British rule of India that have been all-but-forgotten. This year’s theme was, “Jin Preim Kio, Tin Hee Prabh Pio” Those who know love, know God. The Sardarni Sikhdarbar Sahiba of Sikh Dharma International Sardarni Guru Amrit Kaur Khalsa’s inspiring message to the Sadh Sangat gave example after example throughout the Sikh lineage of the distillation of this relationship of love, beginning with Guru Nanak Dev Ji’s words and statements on social equality to the forging of the Khalsa by Guru Gobind Singh, in an unparalleled act where Master and Disciple became One. She mentioned that it is this quality and caliber of love which is realized in one of the three guiding principles of Sikhism, selfless service to all. This theme was expanded and brought into present-day light by two distinguished guests and honorees. The first, Ruth Brody Sharon, interfaith filmmaker and activist, spoke of the Sikh presence and seva at the 2004 Congress of World Religions in Barcelona, Spain, by the Niskam Seva Foundation, recounting that every attendee was deeply touched and inspired by the continual langar which was served over the course of the event. Randall Brown, Director of I nterreligious Affairs of the American Jewish Committee brought a group of more than 20 leaders of the Jewish community of Los Angeles to learn more about Sikh practices. This year’s program was also attended by political dignitaries, including California State Controller (the highest financial officer in California), John Chiang, U.S. Congressional Candidate and existing State Board of Equalization Board Chair, Judy Chu as well as Rev. Leonard Jackson. Sr. Advisor to Mayor of Los Angeles, CA, Antonio R. Villaraigosa, and Los Angeles City Council Member Jack Weiss all of whom acknowledged the many contributions made by Sikhs. The Nagar Kirtan parade which followed the Kirtan Darbar was also attended by the15,000 devotees and consisted of 12 floats, specially created by the Sikh Gurdwara of Los Angeles and designed by Joginder Singh Siddhu. The floats were all beautifully designed with the Guru’s float elaborately decorated showing the Sikh Communities great love and affection for their Guru. The parade encompassed a two mile route in the heart of downtown Los Angeles, where thousands of spectators were able to see the parade due to its proximity to the famous Staples Center Sports Arena in Los Angeles. The parade lasted between 3:30 p.m. to 5:30 p.m. and was also highlighted by the many refreshments and treats prepared for the attendees that were served throughout and after the parde. “It is interesting to note that Baisakhi this year falls at the same time as the Christian Easter and the Jewish Passover celebrations, and although there are more Sikhs in the world than Jews, (24 million vs. 15 million*) few people in the western world have ever heard of Sikhs or Baisakhi. It is exciting to enjoy our celebration together as a Sikh Community and it’s equally fulfilling to reach out to the general public in the Los Angeles community to share with them our experience as Sikhs and the spirit and love of Baisakhi” said Kirtan-Singh Khalsa, event coordinator. Many, many sevadars contributed to make the event a great success. Congratulations to all!